Versatile and powerful graphic design software.. Whether youâre an aspiring artist or an experienced designer, CorelDRAWÂ® Graphics Suite X6 is your trusted graphic design software solution. With its content-rich environment and professional graphic design, photo-editing and website design software, you have everything you need to express your style and creativity with endless possibilities. Quickly feel at home with built-in help, training videos and professionally designed templates. Then, create with confidenceâeverything from distinctive logos and signs to custom websites, web graphics, billboards, car wraps, flyers and more! Show your true design style! Enrich your designs with extensive built-in learning tools, allowing you to start quickly and design with confidence. Gain new knowledge from valuable video tutorials and tips, insights from experts and an inspiring guidebook. Give your projects a high-quality look with over 1,000 premium fonts, 1,000 professional, high-resolution digital photos, 10,000 versatile clipart and 350 professional templates. Efficiently organize your design assets with CorelÂ® CONNECTâ¢ X6, a content finder that instantly locates content on your computer, local network and websites. Create beautiful designs for print and web with a complete set of drawing, bitmap-to-vector tracing, photo- editing and web graphics tools. Manage styles and colors easily with property dockers and convenient features, such as Style Sets and Color Harmonies. Save time and money with all of the powerful applications in one complete graphic design suite. Plus, enjoy the speed of multi-core processing and native 64-bit support, allowing you to quickly process larger files and images. 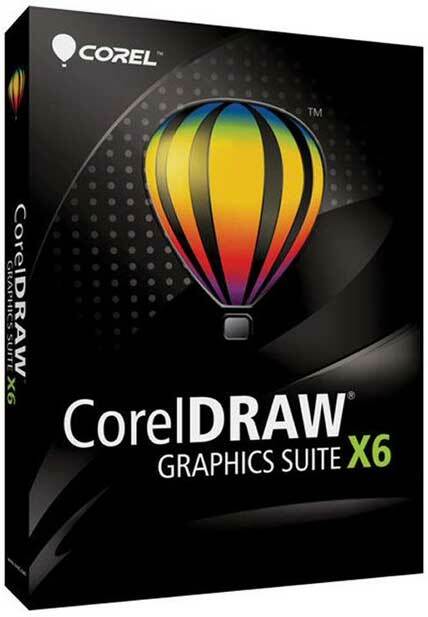 CorelDRAW Graphics Suite X6.4 will update CorelDRAW Graphics Suite X6.1, X6.2 or X6.3. The build number after this update is applied will be 16.4.0.1280. The new version includes enhancements to CorelDRAW Graphics Suite X6, as well as new product features and access to content exclusive to CorelDRAW Premium Members. Please note that you must have CorelDRAW Graphics Suite X6.1, X6.2 or X6.3 already installed (build 16.1.0.843 or 16.2.0.998 or 16.3.0.1114) as well as a valid CorelDRAW Standard or Premium Membership in order to be able to install X6.4. If you have build 16.0.0.707 installed, please install X6.1 prior to installing this update. Say Thanks If You Like My Post ! Forum Saati Türkiye Saatine Göre GMT +2. Saat Şimdi 03:49.